TURNERS FALLS — Franklin County Technical School has been named to the 9th Annual AP District Honor Roll roughly seven years after School Committee member Mark Maloney suggested Advanced Placement programs for the school. The College Board also recognized FCTS for a diverse student population and its overall participation of students taking the AP exams. Eighteen schools in Massachusetts were named to the honor roll, which consisted of more than 370 school districts across the United States and Canada. FCTS offers AP courses in English language and composition, computer science and statistics. Superintendent Richard J. Martin explained AP students take special exams, and anyone who scores a 3 or higher is eligible to receive credits in that subject at a local or state college or university. Martin, in his fourth year as superintendent, said all AP testing across the state is conducted at the same time. He said even students who do not score 3 or higher are still enriched by the valuable curriculum. Martin also said faculty members who want to teach AP courses must pass rigorous training. 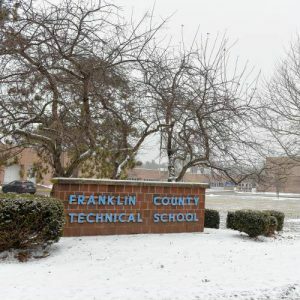 He said he credits Maloney, who represents Greenfield on the Franklin County Technical School Committee, with introducing the concept to the school. Martin said Maloney pitched the idea about seven years ago, when Martin was FCTS principal. The AP programs were developed five years ago. Fifty-eight students took 68 AP tests, as some students took more than one. According to The College Board, national data from 2018 shows approximately 50 percent of underrepresented students with a high degree of readiness for AP are participating in the program.